Everyone dreams of having the perfect home theatre. Imagine completing yours with the cinema-like experience that you can only get from a projector. A 4K projector means that you can watch films, shows or even play your favourite games at more than four times the resolution of full HD. The market is saturated with powerful, reasonably priced models so we’ve put together this guide to give you the ultimate cinematic experience. 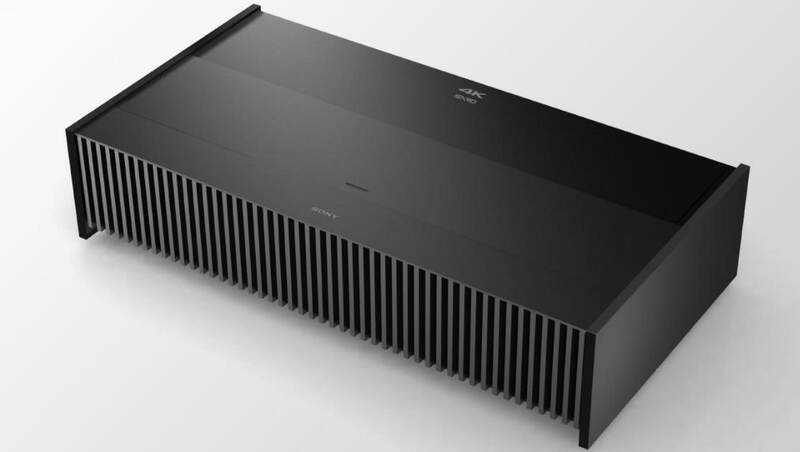 The Sony VPL-VZ1000ES is a unique projector described by Sony’s CEO as “the future of television”. This is a high end projector with a premium price tag, but this is offset by the laser lighting system – unlike lamp based projectors you won’t have to buy any replacement bulbs. The ultra short-throw system means this discreet projector can cast a huge image when sitting just inches from a wall and with an ALR screen your picture won’t be affected by any ambient light. With an easy set up and lasting quality, this is a serious piece of tech for those serious about home cinema. Sony is the only player in the market that offers the native 4K experience. At $10,000 cheaper than the VPL-VZ1000ES the VPL-VW665ES still offers a top of the range experience that supports almost all Blu-ray UHD standards, making this one of Sony’s most lasting options. 1800 lumens is more than enough to support 3D and significantly improved contrast and black levels make this a weighty offering. Sat on its own in a middling price bracket, it’s hard to find any specific drawbacks – it’s perhaps the best projector in the $10,000 - $20,000 margin. The VPLVW350ES comes with one huge advantage right from the offset – it’s the only true 4k projector for under $10,000. Competitors offer faux-4k systems that simply can’t match the quality of native 4k. In terms of value for money, it’s hard to beat this essentially unmatched deal. It doesn’t offer the same contrast or black levels as the more expensive models and the projector itself is on the large side, but front air intake and exhaust means you can place it anywhere without having to worry about cooling issues. For anyone looking for true 4k at the cheapest price, the VPLVW350ES is the only option. While the Epson Pro Cinema LS10500 doesn’t offer true 4k like it’s predecessors on our list, it still offers plenty of bang for its buck. This is another laser model, meaning no costly replacement bulbs. Instead it uses a trio of LCD devices that will last for a minimum of 14,000 hours in the highest performance mode and in that mode you’re in for a treat. The colour quality of this projector will blow away any home cinema, bringing to life details of film & TV you’ve previously missed. HDR movies will quite simply never look the same. Much like the more expensive Sony VPLVW350ES, one of the biggest selling points of the Epson Pro Cinema 6040UB is the price. There are only a handful of projectors on the market that can handle commercial 4K content at this price and the subtle improvements and highlights over other machines puts this model at the top. 2.1:1 zoom lenses and Lens Memory offer better optics than on other models, which will help you enjoy higher resolution content. Coming in under $4,000, this system works with the higher performance 4K formats that cinemas work with, making it a cut above what you may be used to. What to look for in the best 4K projector? 4K TVS are practically commonplace, whereas by contrast (get it?) 4k projectors are only just starting to come into their own. Like any product that’s new to the market, so it can be difficult to know exactly what to look for. 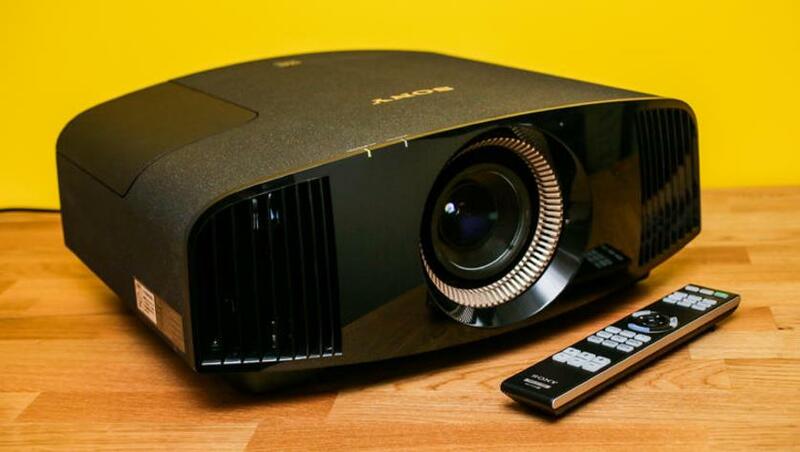 Here are a couple of key considerations for when you’re looking for the best 4k projector. Make sure you’ve got a clear idea of how much you’ve got to spend before you get started. We’ve listed our projectors by descending order in price, which should give you an idea of what you can expect in each price bracket – for instance $9,999 is the very lowest at which you can get true 4k. It’s easy to get intimidated by the prices, but remember a 4k model will is going to be future proof for longer than the cheaper models. Alternatively if you’re working on a lower budget, remember that some models still offer incredible pictures – take the amazing colour quality of the Epson Pro Cinema LS10500 for instance. 1500 lumens will be more than enough for the standard home cinema user, but you most likely aren’t operating in the same dark conditions as a movie theatre. Higher brightness will help to counter this ambient light, allowing you to see your glorious films and series clearly. If you can’t afford to go higher on lumens, a good quality screen can help reduce ambient light and let you focus on contrast and good video processing instead. It’s also worth noting that the ANSI lumens measurement has a little room for interpretation, so there may be a negligible difference between two projectors with the same specs. Black levels are important as you need deep, rich blacks to contrast the beautiful colours of your chosen content. A better black level will improve the details of your picture. Projectors that offer better black levels mean that again you have less to worry about from ambient light. Machines like the Sony VPL-VW665ES 4K offer significantly improved black levels, but if you don’t have the budget to go higher then here’s a pro tip; screens with a black border will cause viewers to perceive more contrast. If you’re using a projector to replicate the cinematic experience then screen size matters. 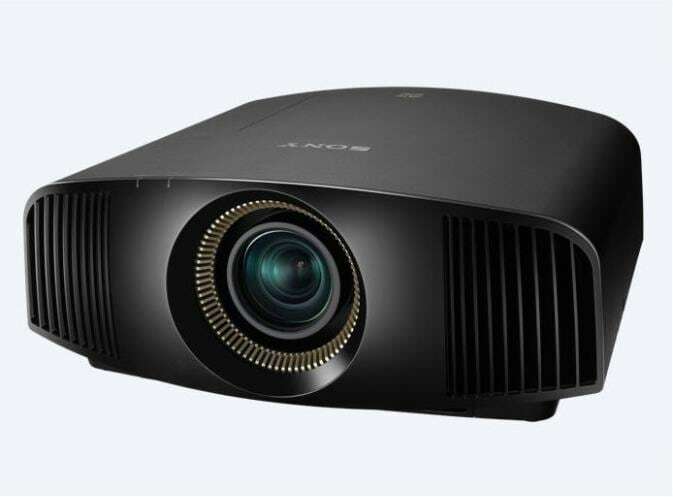 Short-throw projectors like the Sony VPL-VW665ES 4K 3D feature revolutionary designs that allow you to place your projector closer to the wall, but for most machines you’re going to need to look carefully at how much space you’ve got as it will affect your maximum screen size. Finally a few basic points – make sure that the devices you plan to use can connect to the projector, especially if you plan to use your existing gadgets. Remember that lamp projects will need replacements, so you may save money by buying a more expensive laser projector in the long run. Similarly make sure to check the placement of the internal fan – if it’s placed at the back you’ll need to leave a space between the walls and projector or risk overheating during longer viewing sessions.